On March 16th, the 2nd Global Contest of Innovation in Smart Manufacturing successfully held in Los Angeles. The contest was organized by Cybernaut Zfounder Ventures (CZV). Cybernaut is one of the largest venture capital fund in the South California. In 2018, Cybernaut’s major investment focuses are in the area of medical device, digital health, and Fin-tech. In the past three years, Cybernaut has invested more than 80 companies and had 10 successfully exits. 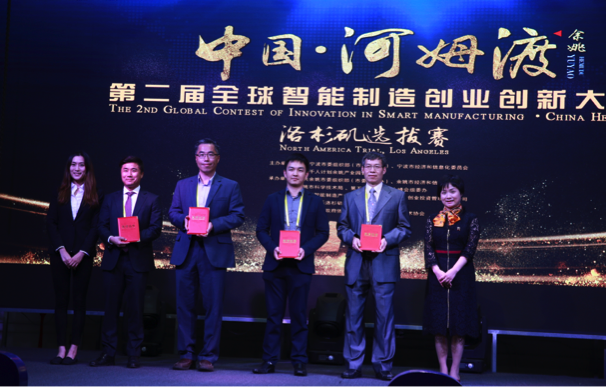 The Global Contest of Innovation in Smart Manufacturing was held to accelerate the improvement of the industrial development and transformation and was designed to create a platform for entrepreneurial talents that carry core technologies and outstanding projects to meet with potential investors. Dr. Hua Wen, the general partner of Cybernaut Zfounder Ventures, said in the opening words that the investment eco-system in Southern California has been greatly improved in recent years. Los Angeles was currently rated as the third largest entrepreneurial community in the United States, after San Francisco and New York. According to Built in LA, start-ups in Los Angeles received a total amount of investment of approximately $4.2 billion in 2017, nearly eight times more than the total amount in 2012. The six judges are: Dr. Hua Wen, General Partner of CZV; Mr. Qin Gang, partner of Yuanzhan Capital; Dr. Ding Ling, Founder of a Chinese Medical Information Platform named "Doctor’s Voice" and Doctor of Oncology; Mr. Yu Kaicheng, President of Chinese University Alumni Alliance and Mr. Xue Hong, Managing Partner of VXP Venture Fund in Silicon Valley. The contest was based in Los Angeles. With more than 100 applicants, 12 teams across the United Sates were selected to compete in the contest. Among the 12 teams, 5 teams were from the East Coast and 7 teams were from the West Coast. The team members holding master or doctor degrees were all from the top universities in the United States. Also, the teams were in various industry which covering the next generation including: intelligence manufacturing, new materials, energy conservation and environmental protection, wearable devices, medical devices, and Internet of things. The participants were including: a project who applied atomic forging nanotechnology in braking system, won 2013 R&D 100 awards and has patents in 7 countries; a QT ECG project with the world's smallest and most integrated home-used 12-lead ECG; a project in general-purpose intelligent instrument and meter whose cost was only one-tenth of traditional instrument; a household rehabilitation project that could five-times improve the efficiency of nursing staff and spend only one-fifth of cost of traditional rehabilitation health management system; a semiconductor opt-coherent modulation filter project which use nano-optical physics principles to design and manufacture a four-port semiconductor optical coherent modulation filter based on a gain nano-optical coupler. After a three-hour fierce competition including project presentation and Q&A, the automotive brake systems project that apply atomic forging nanotechnology, the voltage-controlled magnetic memory project, the medical-grade home-used 12-lead electrocardiogram projects and the VR surgical education project were successfully been selected to participate into the final competition. 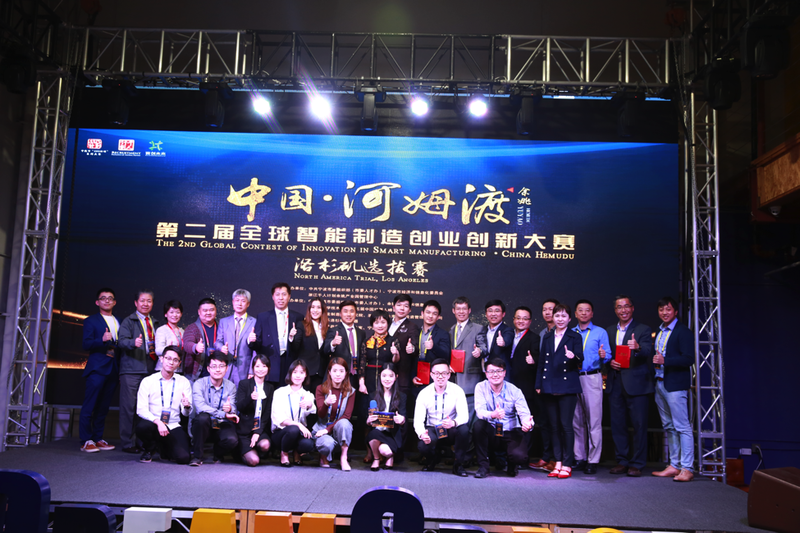 After the contest, participants delivered sincere thanks to contest organizers for providing this opportunities for them to communicate with potential investors. The winning teams stated that they would further improve and strive to enhance their products and service in the future. Finally, Dr. Hua Wen, CEO of CZV, said that she was very happy that the contest provide a platform for entrepreneurs to gather in Los Angeles to interact and communicate. She hoped that the contest would improve the development of industrial new technology and helped entrepreneurs successfully apply their technologies in real and make their dreams come true.